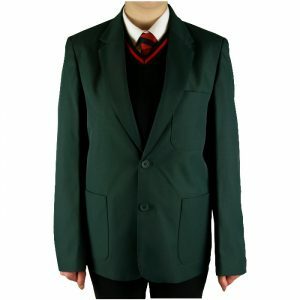 The school uniform at Lord Grey Academy is an important part of the ethos, and all students are encouraged to take pride in their appearance. The governors and staff believe that wearing of a distinctive school dress makes an important contribution to the tone and reputation of the school; gives students a sense of belonging, and stops students coming to school in clothes which is unsuitable for school. 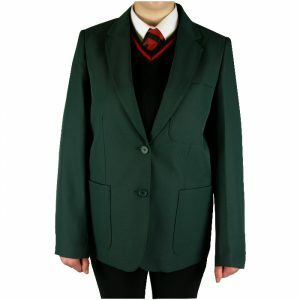 The condition of student entry to classes is the wearing of full school uniform. 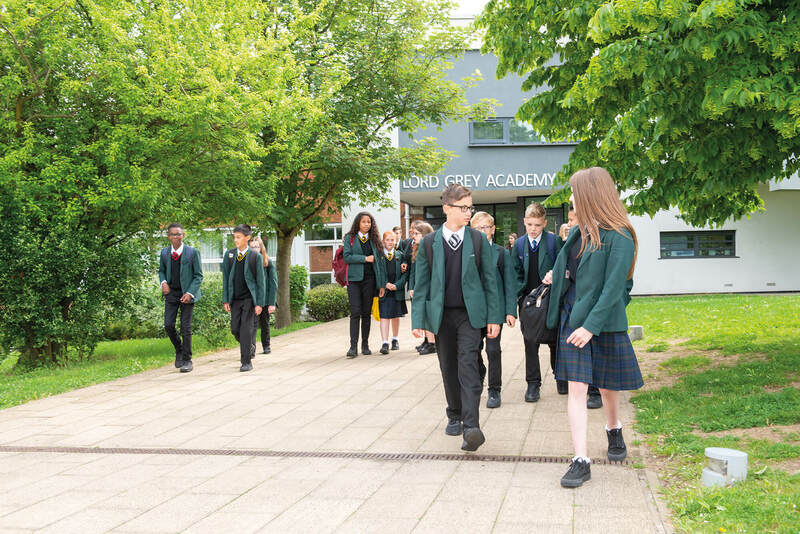 Maisies Superstore and Kedaph Schoolwear Ltd are the main suppliers of the school uniform for Lord Grey Academy to maintain our agreed standard. Both suppliers offer the same choice of services e.g. purchase in store, online ordering. 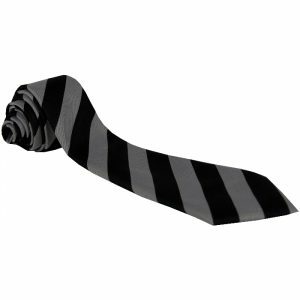 Sixth Form students do not wear uniform, but appearance is important and are expected to wear appropriate clothes for school which is based on the concept of smart office wear. There is a compulsory Sixth Form dress code. We want our Sixth Form students to be treated as individuals and act independently but we also want a collective presence around the school site which younger students, staff and visitors can respect. The many visitors to the Sixth Form judge the students and institution partly on appearances. Looking more professional also translates into taking oneself seriously as a student. 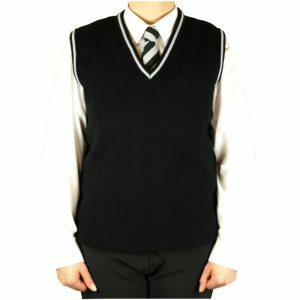 The condition of student entry to classes is the wearing of full school uniform. 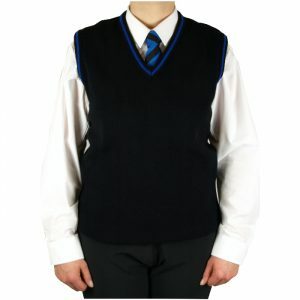 We are a uniformed school and thus uniform is non negotiable. Students not in perfect uniform will be sent home at the gate. White shirt/blouse, with a formal collar and a top button that does up. Black tailored trousers. Trousers MUST be slightly loose and loose at the ankle. 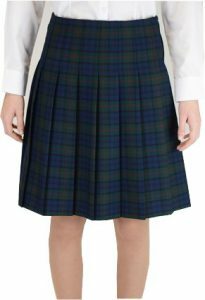 NEW School Skirt – This is the only skirt which is permitted to be worn. Please note: all students can choose to wear tailored black trousers if they prefer. Black V-neck House sleeveless jumper. Appropriate House school tie. Fully done up to cover top button of shirt/blouse and nestle in the collar. Sensible black shoes with dark laces. Footwear MUST be completely black all over. Skin tone or black tights (not footless), when wearing a skirt. Socks – white/dark or plain in colour. Please note: students ARE NOT ALLOWED to wear hoodies/jackets (must be school uniform) around the school site. * Definition of loose at the ankle – when the student is standing still and upright, the trouser fabric hangs naturally with at least 1.5cm gap between the trouser and the sock for the full circumference of the trouser leg. Thus there is room or space between the trouser and the sock, without having to stretch the fabric or pull at the seam. 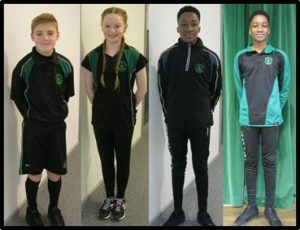 The New Lord Grey Academy Sports Kit is compulsory for Year 7 students commencing in September 2018. All sports kit to be purchased from our uniform supplier Maisies Superstore. Alternative items cannot be worn in place of these. 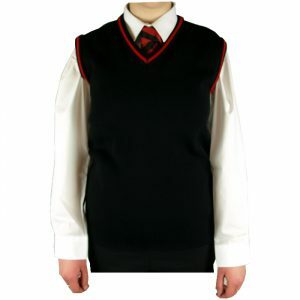 This kit is optional for students in Year 8-Year 11. Students must remember NO ZIPPED HOODIES/TRACKSUIT TOPS OR LEGGINGS/JEGGINGS ALLOWED. It is expected that students will come prepared during bad weather and should bring more than one t-shirt for extra warmth. It is recommended that students have a plastic bag for dirty clothes. Showers are available, students are encouraged to bring a towel. All items of clothing should be clearly labelled and brought to all lessons. Staff cannot take responsibility for any valuables during PE lesson. * These can be purchased from any supplier. NOTE – If students are unable to take part in PE lessons due to illness or injury your PE kit is still required as you will be involved in the lesson as a coach or ‘teacher’. This will enable you to learn and progress without inhibiting your recovery. smart jacket, jumper or cardigan. Many students have jobs outside school and often wear clothes which would fit this code. colour within the range of natural hair colour. Tramlines and patterns are notpermitted nor are tramlines through the eyebrow. NO other facial piercings e.g. no eyebrow, nose or tongue piercings. Retainers are not allowed because piercings are not allowed. Bracelets, bangles (metal, material, leather etc.) and necklaces should not be worn. For safety reasons, there should be no other body piercings. Students failing to adhere to this policy will have the inappropriate jewellery confiscated. No leather, denim, suede, fur or “hoodies”, leggings, club football regalia or excessive make-up. Hoodies are banned and not allowed as an alternative to a coat. Coloured nail polish is not permitted. Hats are not to be worn in school, but can be worn walking to and from school. Headbands if worn to be plain, black or dark green. Headscarves to be totally plain, dark in colour. Only badges issued by the school to be worn e.g. House pin, Principal’s Reward badge, Student Council badge, 100% attendance badge etc. Mobile devices need to be switched off and placed in the child’s school bag. They may not be used at any time during the school day. Headphones are also to be placed in their school bag. Any student seen using a mobile phone/device during the school day will have it confiscated. The school will accept no responsibility for the loss of mobile phones and other electronic devices for personal use. They are brought into school at one’s own risk. 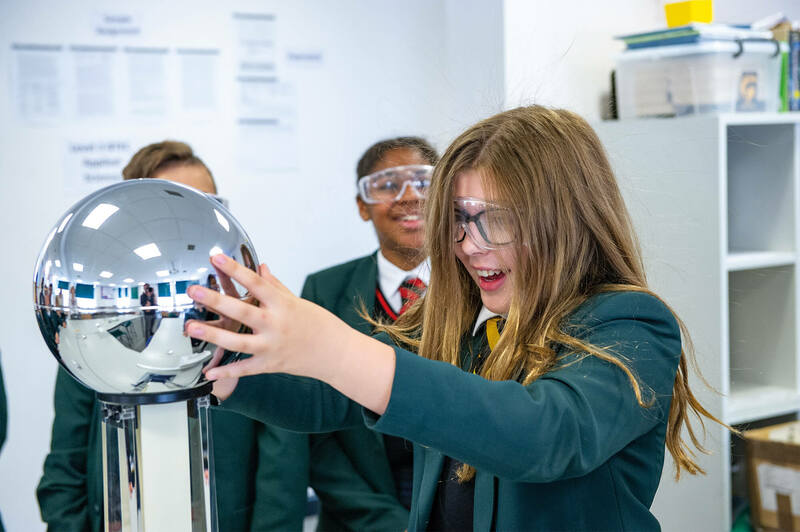 The Governing Body believes that having the correct school equipment can significantly enhance the quality of learning opportunities for your child. 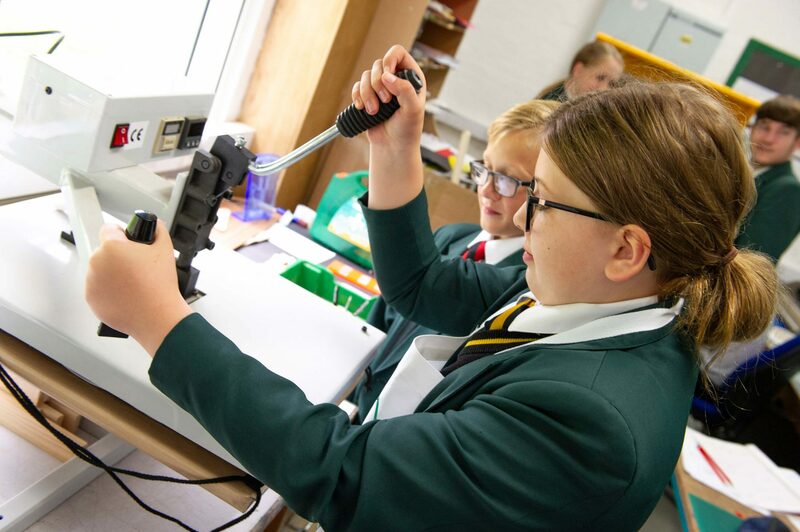 At Lord Grey Academy we believe that all students should arrive for learning with the correct equipment. We wish our students to be equipped to meet the highest possible standards, yet it is not possible for Lord Grey Academy to provide equipment for individual students beyond that of stationery and course materials. We do insist that all students carry the required equipment at all times. Our essential equipment list is non negotiable. All students must have a school bag, carried daily, of at least the size to carry an A4 book/folder. Purple pen to respond to teacher’s marking. Please note – Tippex is not allowed. All the items can be purchased from Student Services. Only pens with black ink MUST be used for all examinations.A PE kit must be brought into school for every PE lesson. Cooking ingredients for Food Technology is by arrangement.Students must carry the appropriate equipment on a daily basis. This is one of the core, non-negotiable, principles of the school.